The best way to increase your home’s value is to have a plan for the upgrades you would like to make. Taking on a home renovation project will allow you to have maximum enjoyment of your place now and also let you reap the increased value of your property if you do decide to sell in the future. First start with a plan and list the ideal upgrades you would like implement in your home. Know that there are particular renovation projects that are most attractive to potential buyers, giving you the highest returns on your investment. Categorize your list by priority and financial cost. According to the Appraisal Institute of Canada, kitchen and bathroom renovations are the projects with the highest returns. Smaller tasks like adding storage, refreshing paint colours, and updating the your water fixtures can also increase the value of your home. A modern and spacious kitchen tops the list of ideal home features for potential buyers. This is not surprising, as the kitchen is the social hub of the home. Lots of time will be spent here preparing lunches, hosting dinners and having daily morning catch ups over coffee and it is worth spending the time and money to make spending time here as comfortable as possible. Transition out your older appliances - going stainless steel is the way to go as it conveys a clean, contemporary aesthetic. Integrating your appliances into the cabinetry can also be beneficial as this creates a seamless look that is aesthetically pleasing, saves space and hides unsightly features. Quartz countertops are now the choice material over granite and marble because they are heat, scratch and stain resistant, contributing to the longevity of your new kitchen. As for flooring, wood-look flooring in laminate, vinyl or ceramic tile has dominated the trend for years with no sign of slowing down. 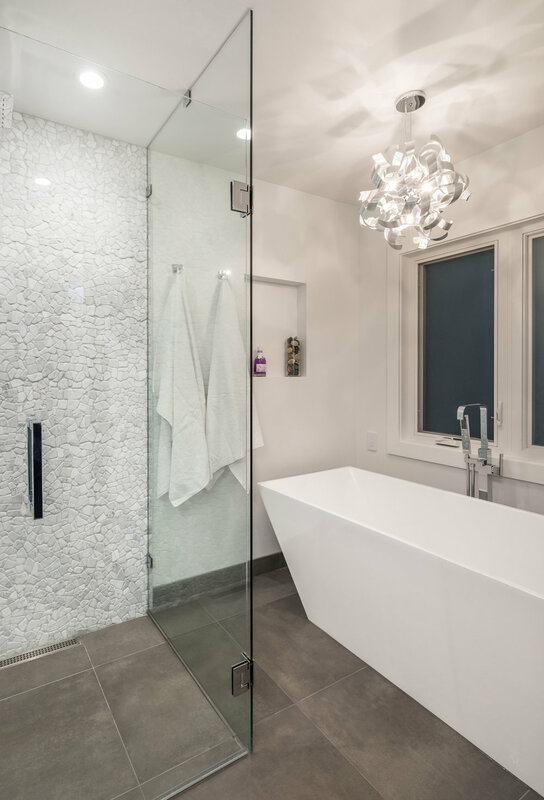 A bright, beautiful bathroom is second in the list of renovations with the highest return on investment. This is the one room where we are able to switch off from the world - a place to relax and wash away life’s stresses. Whether it’s improving the uninspiringly weak water pressure in the shower or installing a new bathroom vanity, you can feel sure that these upgrades will give you a space that’s more functional and attractive. You can also add a shower niche to create more space and eliminate the need for a clunky shower caddy. 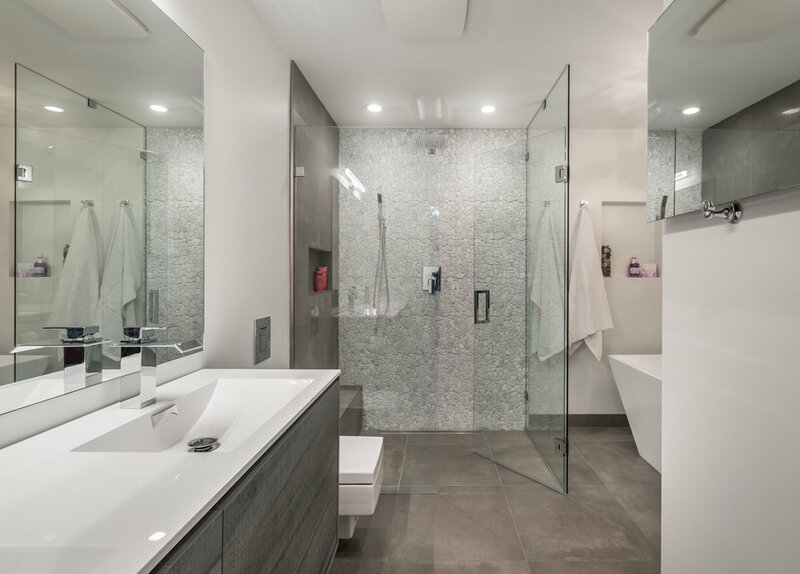 Having ample storage and flattering lighting in the bathroom is also attractive to the prospective buyer. Knock out two birds with one stone by installing a recessed medicine cabinet with lighting. Having a large, lit and mirrored medicine cabinet will also make the space feel much bigger. Not surprisingly, adding an income producing suite is one of the most lucrative ways to increase your home’s value. You can convert your basement or another floor of your home to a rental suite, giving yourself another stream of income. Even the little things count…. Bigger renovation projects like the kitchen and bathroom are not the end-all to Increasing your home’s value. There are smaller upgrades you can undertake to really elevate the look and feel of your home, and these little details will certainly be noticed by prospective buyers in the future. Elevating the look of your place with a fresh coat of interior or exterior paint is an affordable way to increase the value of your home. Add a stylish feature wall to your bedroom and living room and watch it come to life. Choose tones with wide-ranging market appeal - in 2018, this means pewter, grey-beige and stone for neutral colours and rich shades of blue for accent walls. Have LED lighting put in under your cabinets to light up your kitchen backsplash. Kitchens and bathrooms can easily look dated with old fixtures. Update your cabinet hardware, light fixtures and faucets to a more contemporary style to easily give your home a small but significant upgrade. While taking on an extensive landscaping project is unnecessary, you can boost your ‘curb appeal’ by maintaining what you do have. You can do this by staying on top of your lawn mowing, tree pruning and weed upkeep. You can also create a garden plot - as people are becoming more health conscious, having a designated spot in the backyard for growing your own vegetables is alluring. No matter the size of your home renovation, you need a solid team to pull it all together. Contact us today to book your free consultation so we can help you make the most out of your home.